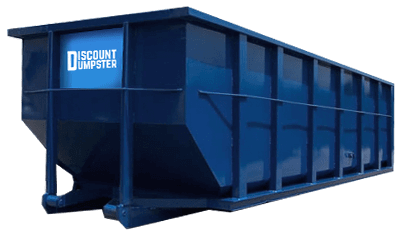 Discount Dumpster wants to provide you with your next dumpster service in Nashville. Our locally operated company offers the best deals on roll offs. 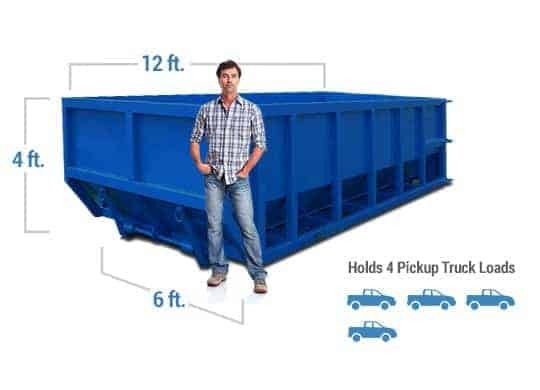 No matter what size project you may have, our containers can handle any waste load. All you need to do is call our customer service team Monday through Friday and our team will set up your rental agreement immediately. When your project is finished, give us a call and we will promptly collect your receptacle. Our customers have been known to save up to $100 when dealing with our local company. We have the best pricing in the business on dumpster rentals. Call us today and you can have your roll off delivered to just about and residential or commercial location. We have a variety of sizes to choose from, so there is no task too big or small. There are no hidden surcharges associated with your rental terms, so the price you see is the price you pay! Slightly larger than the 10 yard container, the 12 yard is ideal for small renovations. The 12 yard’s size allows it to maintain light construction rubbish such as brick and sheet rock. Its low height allows for easy clearance for any customer. The 20 yard roll off is ideal for full room refitting. You can easily transfer household and demolition clutter. The 20 yard is commonplace for small scale landscaping projects. Smaller than the 40 yard, the 30 yard is great for multiple room refurbishing. Its relatively broad size allows the dumpster to hold construction clutter such as wooden beams and planks. With 30 cubic yards of space, it is a great choice for large-scale building retrofitting. Our 40 yard container is ideal for contractors working on large-scale renovations. You can discard several tons of debris with this receptacle. It is perfect for contractors performing building leveling. Are you Prepared for great Service in Mount Juliet? Before our driver can deliver your dumpster rental at your site, the area must be cleared of any type of obstructions. These include vehicles, low hanging wires, basketball hoops, tree branches, and a list of other things. Be do your best to keep your area cleared in order to ensure proper delivery. The receptacle will be delivered on a flat bed semi, so the driver cannot enter any narrow streets or alleyways. If your site is only accessible by alleyway, give us a call and we will see what solution we have for you. For more information contact us today! Before you start searching around town for the best possible pricing and service, give our local company a call. Our roll off containers can handle all types of clutter including residential rubbish and construction debris. Whether you are a contractor, homeowner, or businessman, our containers are a perfect option for your next cleanup. Call us today to schedule your next roll off rental. If you call before noon today, we may be able to send a trash bin to your site as early as tomorrow. Each of our roll offs are rented for a specified amount of time depending upon the location of your site. The standard rental period is 14 days. Our local company has a very flexible rental agreement that can be extended as needed for just $15 a day. It is important to know we will never collect our containers without contacting you. When your project is finished, give us a call and we will promptly collect the container. If you are not pleased with our service, let us know and we will do what we can to resolve any issue.